Weld Parameters Developed for Reliability. Strength Equal or Greater Than Parent Material on Each Part. 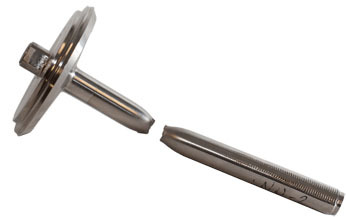 Nitride hardened steel piston rod broken outside the friction weld zone. The indent near the break is the result of force from the press. Thin-wall tube bonded to a solid base. This shows a section cut and bend test. The friction weld zone is unaffected. 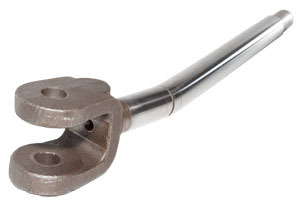 This hollow shaft is friction welded to a solid piston. The section cut was tested by bending force. 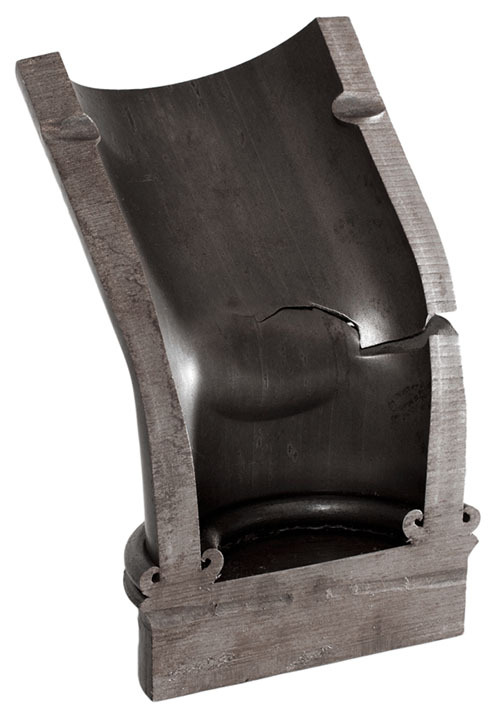 The parent material deflected before any effect reached the friction weld zone. 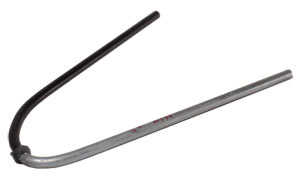 This test shows a thin-wall tube section cut into strips that are bent down into “petals”. 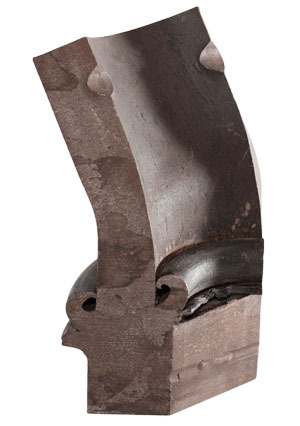 This bend test, of a shaft friction welded to a forged ring, demonstrates the incredible strength of the friction welding process. This heavy-wall tube bonded to a solid base gave way before the friction weld did in this bending test. 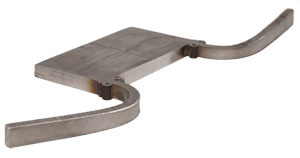 A Nitride hardened steel pin was friction welded to a steel mounting plate. This bend test shows that the plated pulled apart with no separation of the friction weld joint. 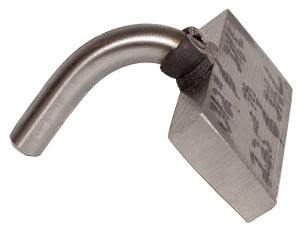 A forged clevis was friction welded to a hardened, chrome-plated hydraulic piston rod. The bend test shows that the rod broke in the testing press with no failure of the weld zone. 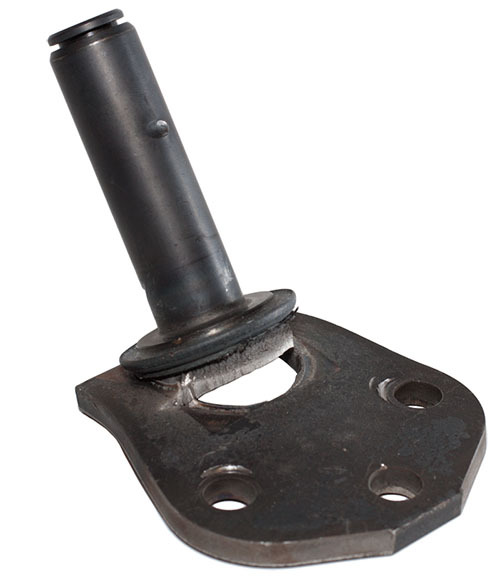 This Class 8 trailer axle is made from heavy-wall tube friction welded to a forged spindle. This cut section was tested in a bending press. You can see that the tube gave way under force before any damage occurred in the friction weld zone. 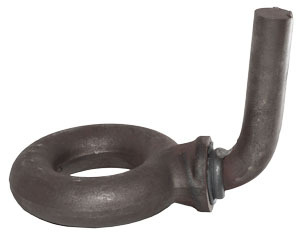 This threaded rod is friction welded to a cast cam. The bend test shows that the friction weld zone is stronger than the parent material. OEM manufacturers require specific strength testing to assure that part performance complies with design. 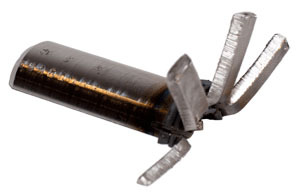 This valve stem was strength tested with a tensile pull, and it broke outside the friction welded joint where the shaft meets the disc. 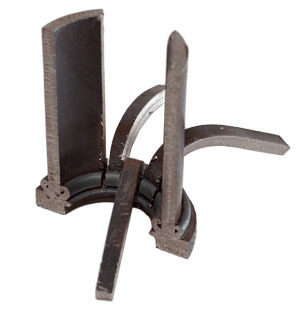 The tensile test shows that the friction welded bond is stronger than the parent material. NOTE: This finished sample also illustrates that the friction weld zone can be machined like solid parent material. As in the other “petal” bend tests on this page, this sample shows the friction weld bonded joint between a thin-walled tube and a solid cap is successful. 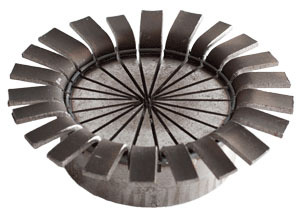 Here heat-treat hardened 8620 steel is bonded to stainless steel. The hollow stainless tube was cut for a “petal test”. The friction weld parameter is proven successful in this test example. Another bend test, another win for friction welding. This 1/8” diameter steel bar is comprised of one-half Nitride hardened steel joined to another half in untreated mild steel. You can see that the friction weld is stronger than either parent material side.